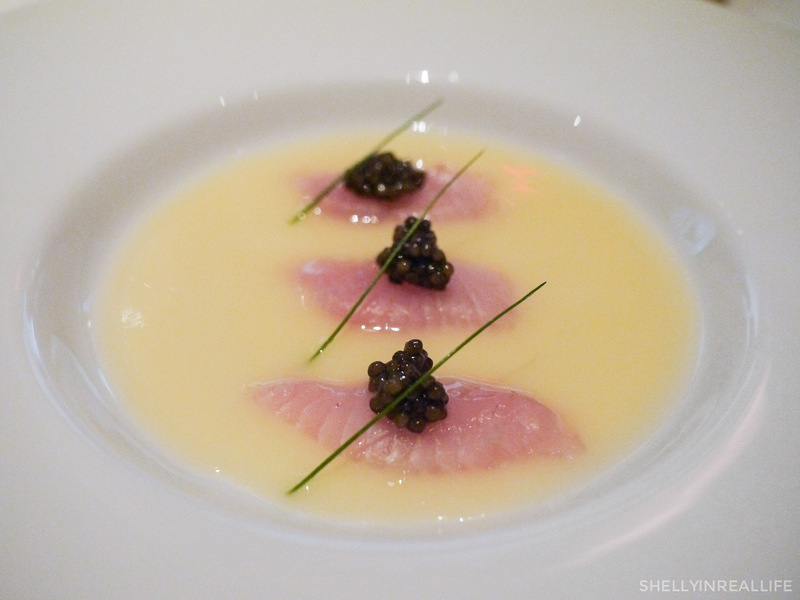 First, how beautiful and delicious does this caviar and king fish dish look? As if caviar on top of a fresh piece of sashimi wasn't good enough, Le Bernardin adds to the decadence of it all by completing the dish with a lovely marinière sauce (think butter + shallots). After I was done savoring every bite of the dish, I continued to eat every ounce of that sauce on the plate with bread as my vehicle of choice. Oops, is that not appropriate behavior at a 3-Michelin star restaurant? #noshame here ... I swear the Saucier who makes these drops of heaven is really the one who helped Le Bernardin secure their final 3rd star. Because. ALL the sauces of the night just helped elevate the dishes from good to great, and prompted me to virtually "lick" all my plates clean (with bread). Anyway, back to the beginning. 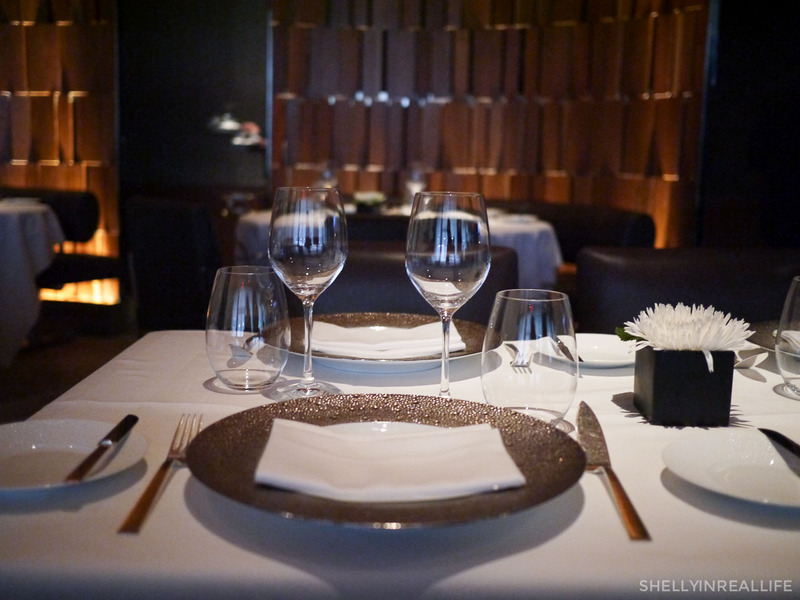 A few months ago, J's parents came to visit NYC and since Le Bernardin was on the top of our lists of places to go in 2014, we decided to make it an occasion for a nice meal together. As it turns out, this was the perfect choice for a wonder 3-Michelin star place for them to try. 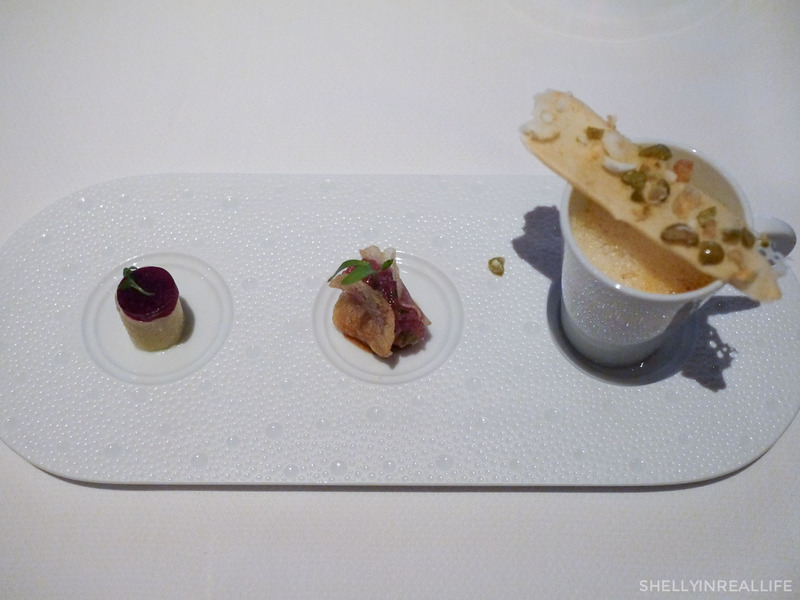 It begins with the amuse bouche, my favorite was the soup. I wonder how I can make soup like that at home, I just wanted to drink endless amounts of it, a tiny cup was just not enough. 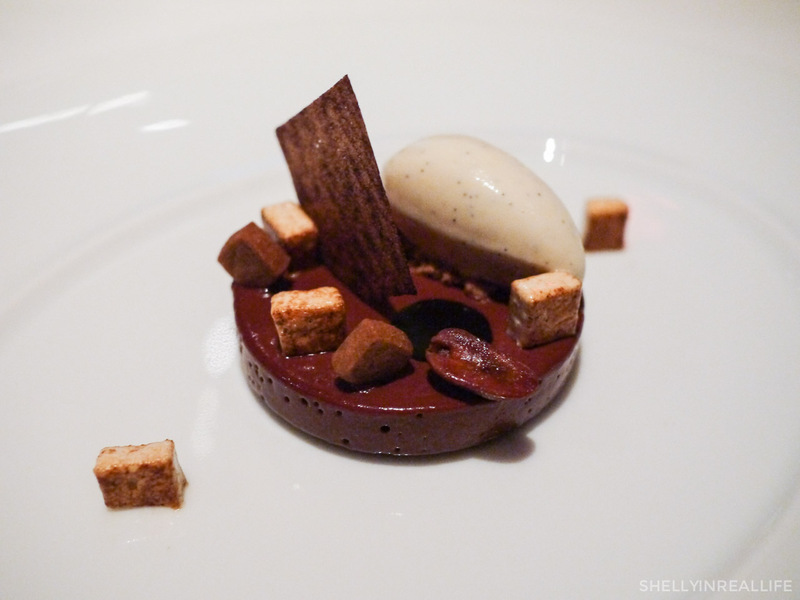 At Le Bernardin, you have the choice of a 4-course prix fixe ($135), a 7-course Le Bernardin Tasting ($155), or the more expensive 8-course Chef’s Tasting Menu ($198). From what I understand, it doesn't seem like the menu changes much at all. I'm looking at the menu again six months later and it's exactly the same. 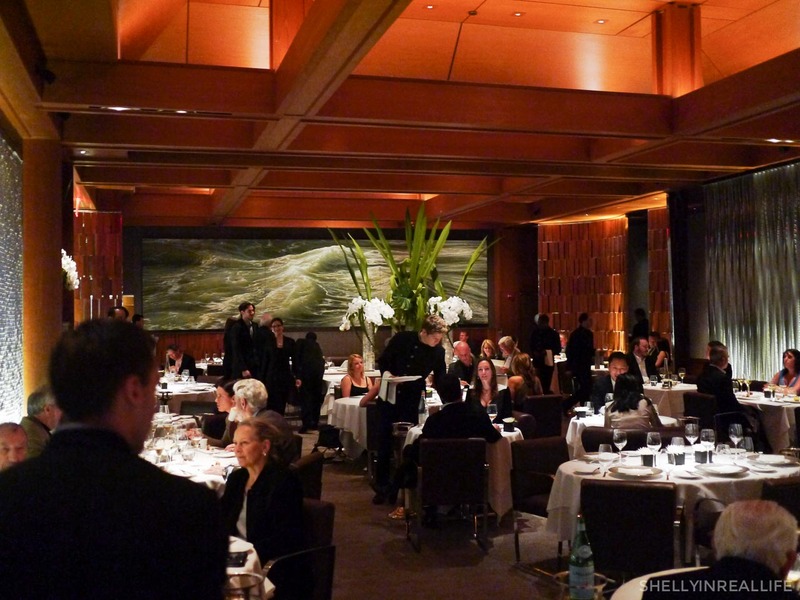 Friends who have been to Le Bernardin multiple times also recommend the Chef's Tasting as it offers a much better quality of ingredients including caviar, langoustine, lobster and kobe beef. 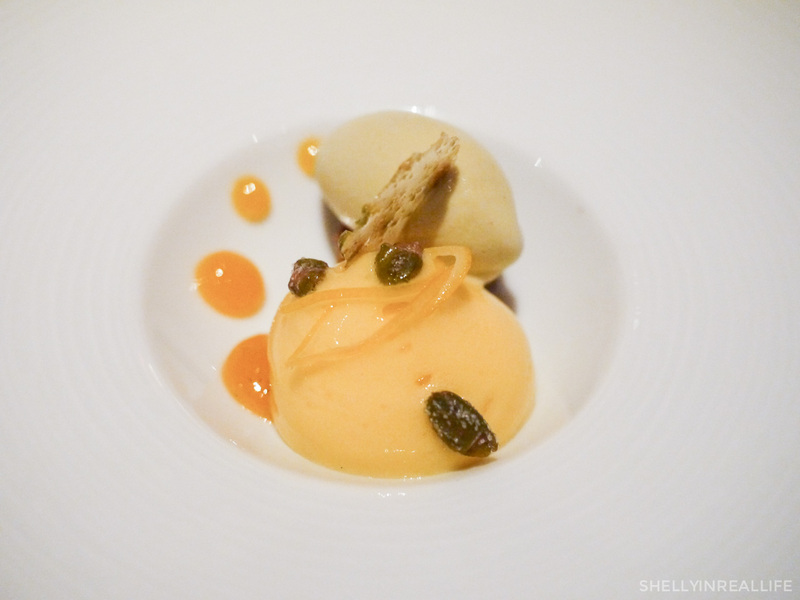 We decided to listen to our friends' recommendations to do the Chef's Tasting Menu. This ended up being a great choice so if cost is not an issue, then you know what to do. J and I also decided to share a wine tasting between the two of us which is always an option, and a recommended one because I started to feel a bit tipsy towards the end even though we were sharing all the glasses. The bread selection here was great, though I wish it came out piping hot. Regardless, the bread is 100% necessary as I previously mentioned because you NEED the bread so that you're not licking your plate to enjoy every last drop of the sauces from your tasting. So some quick background on Chef Eric Ripert. 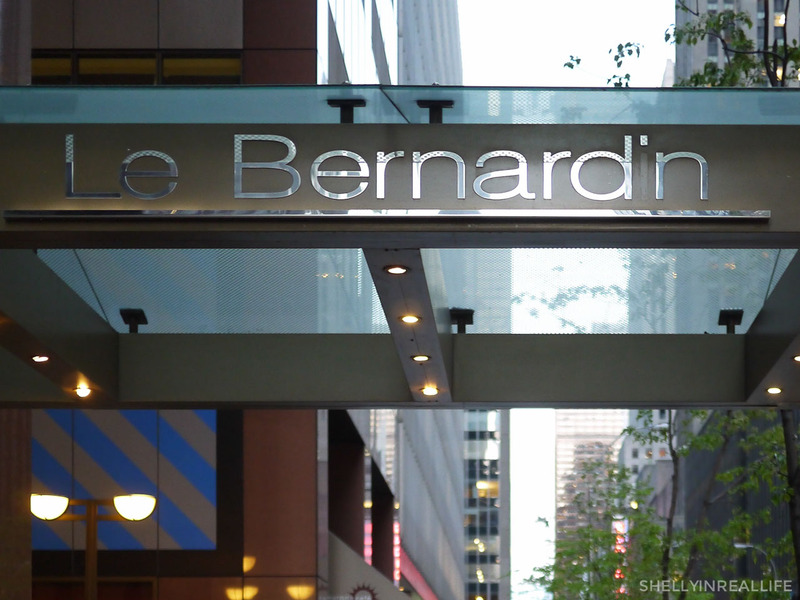 He's a French chef who's most renowned for his work with seafood so the tastings at Le Bernardin is very seafood centric. A bit before the dinner, J's mom mentioned that she was not a big seafood lover. Uh-oh. Why were we bringing someone who doesn't love seafood to an all-seafood tasting? 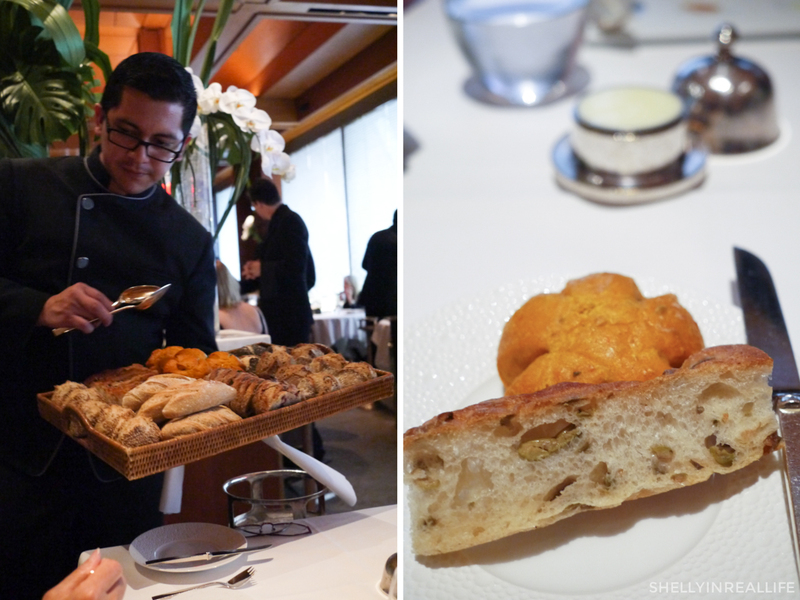 As it turns out, the dishes here at Le Bernardin were great enough to turn a non-seafood lover into a believer. I was relieved when I saw her enjoying every single dish. Whew, crisis averted. 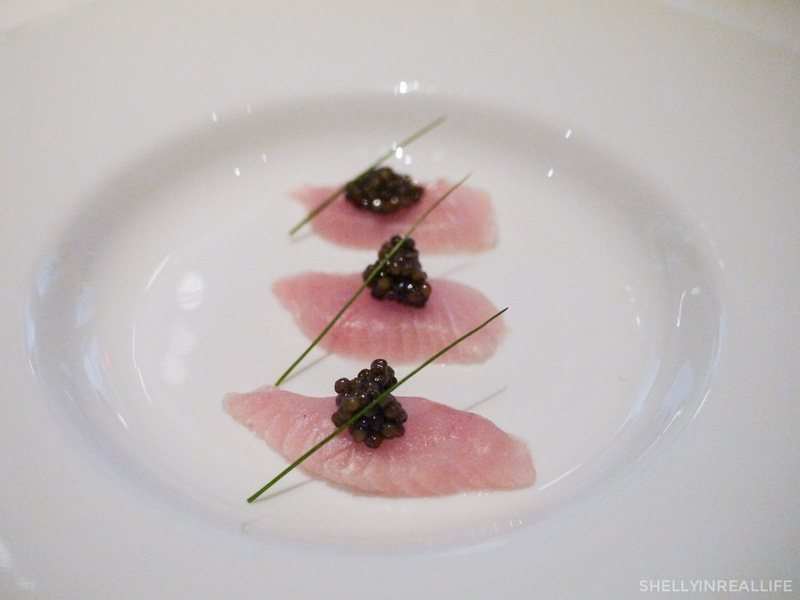 As mentioned above, one of the true beauties of the night was the King Fish-Caviar dish. 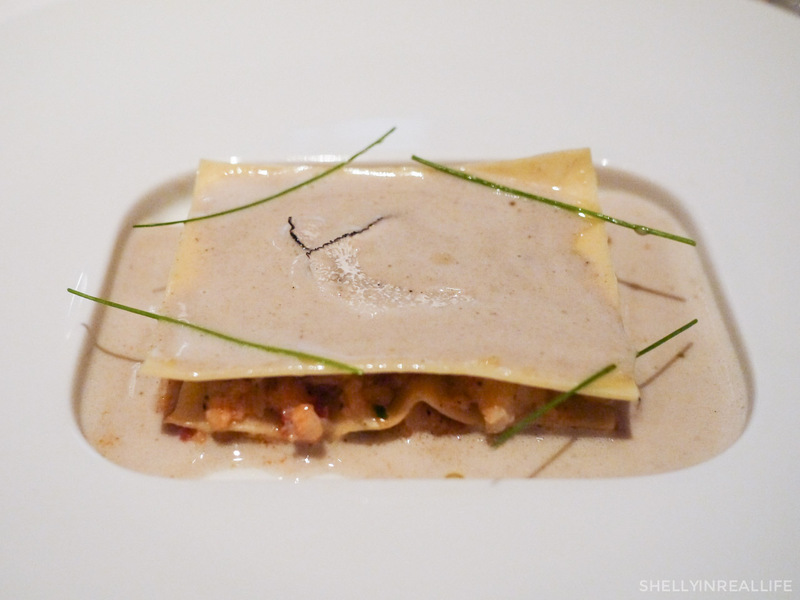 Another clear favorite of the night for all of us was this Lobster Lasagna. The sheets of pasta were thin, layered with lobster in the middle, but as with all the dishes, it's really the truffle butter sauce that pulled everything together. Made each bite a true delight. 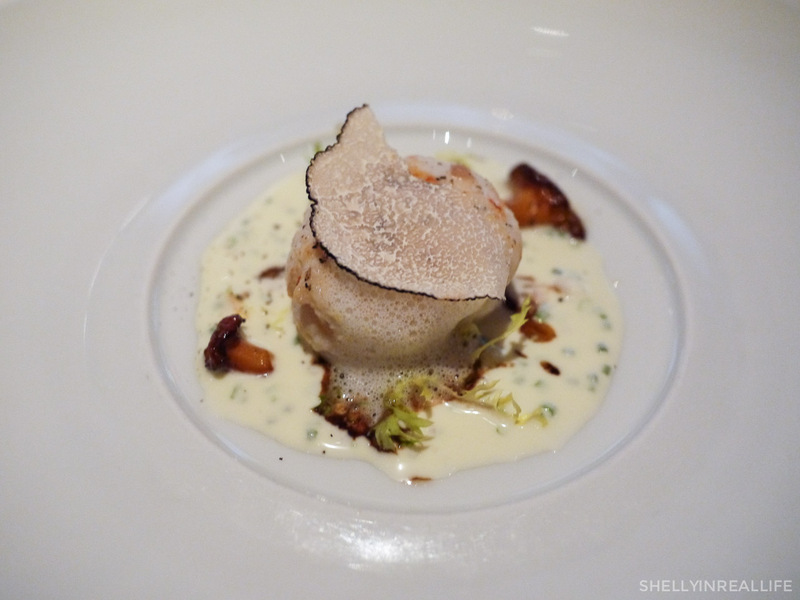 And if you can't see, there were pieces of shaved truffle on top covered in Truffle Butter. Delish! Before we knew it, the entrees of the night were finished! We ended the night with a surf and turf. I've always been more of a fan of raw fish over cooked so I enjoyed all the shellfish dishes of the night the best. The Kobe beef here was super tender and marbled in fat - aka delicious. The food served was great, not overwhelming in any way. The amount of food was just perfect to leave us all comfortably full (except J's mom who has a smaller appetite because she was completely stuffed). Also, none of the dishes had any "what the heck is this" factor, which meant that no one was scared to eat anything on the dish (duck hearts anyone?). The pacing of the meal was very consistent, we had just enough time to slowly finish our dishes and some time for conversation between each dish. Yet, we were never wondering when our next dish was going to come out. Nice ambiance without being overly stuffy or pretentious. Although all men are required to have a jacket here, the rest of the atmosphere was very nice. I really enjoyed the open dining area and thought the lighting was perfect so that you didn't feel like it was supposed to be nap time. Looking around, you'd notice that there are tons of tables available for groups rather than romantic snuggling. I didn't mention this during the dinner of course (to not ruin anyone's great experience), but since I'm blogging about it, I'll let you know here. 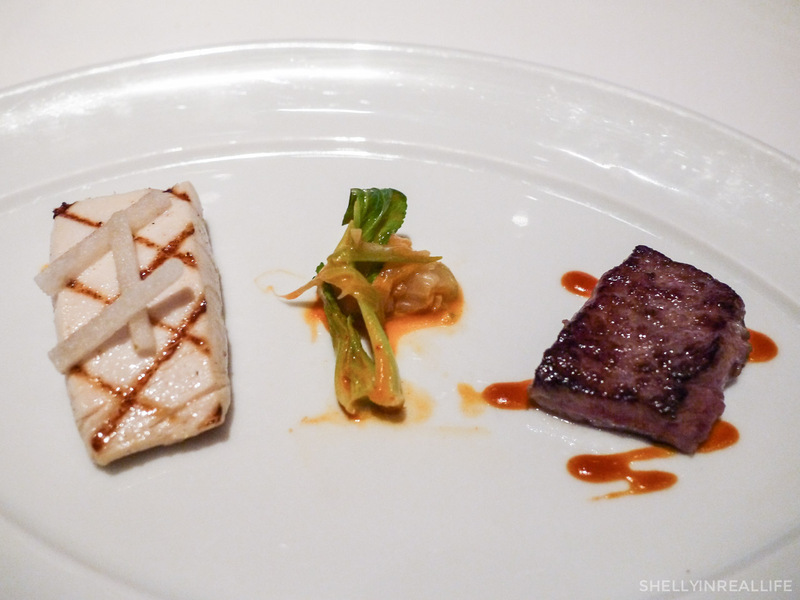 If I were to make one complaint about the meal, it would be the service wasn't as impeccable as other 3-Michelin star experiences in the city. Strike one. J and his parents were at our 5:30 reservation about 5 minutes early, while I got there 5 minutes late. When I arrived, I barely had time to settle down before our server started badgering us to ask if we were ready to order. I mean, I just got there, so there needed to be some time for pleasantries to be shared before we discussed what to order right? That might have been my fault maybe for being a tad late, but I think there were definitely social cues to show that we clearly weren't ready. It seemed like they were tight on a 2.5 hour table-turnaround schedule and they were planning to seat the next group right when we left. Strike two. I noticed that service was a bit off was when I realized how we desperately needed one more server. Since we were a table of 4, our server presented our dishes two at a time, and then had to run back to the back to get our other two dishes. For a 3-Michelin star experience, I would have expected all of us to have our plates set down together, by 2 different people. I noticed this happening for a table of 3 across from us as well. Two plates were be dropped off by one server leaving the last person who didn't get their food to awkwardly stare (and drool) over the dishes that were there. Imagine this, multiplied by the 8 courses. It got more and more noticeable through the night how badly a second server is needed. Anyway, neither of these hick-ups were actually that bad at all. Unlike other weird 3-Michelin star service experience (ahem, Brooklyn Fare). So really, this meant that a meal at Le Bernardin was the last meal I personally needed to try before I could mentally award myself with a Foodie Badge of Honor . I feel a little silly saying that out loud, but it's true! 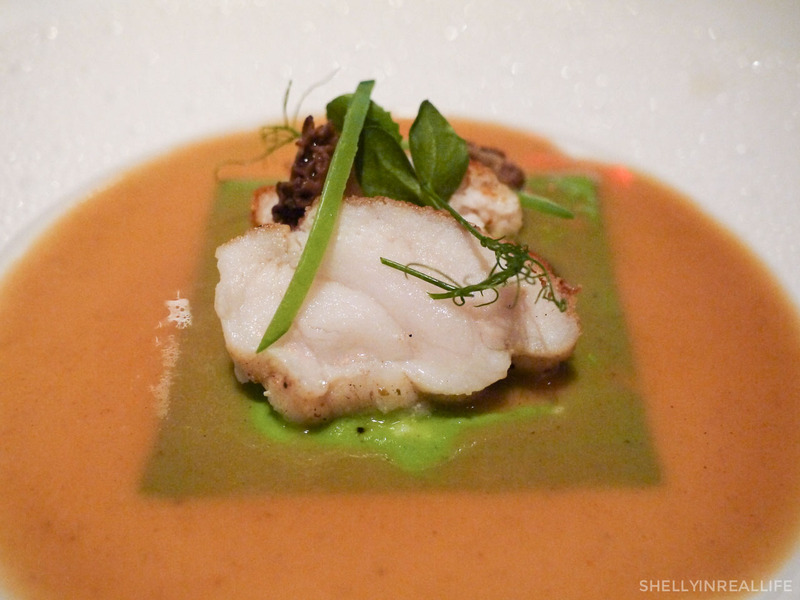 When I first went to Per Se, I had very little perspective on what to look for in fine dining and didn't really know what I liked. After the last few years, having comparison of all these experience really have highlighted that I'm not a fan of traditional French cuisine - hence not wanting to try Daniel - and I guess I should have really known this one, but I don't really like a stuffy environment. The more casual and "fun" the feel for me, the better. 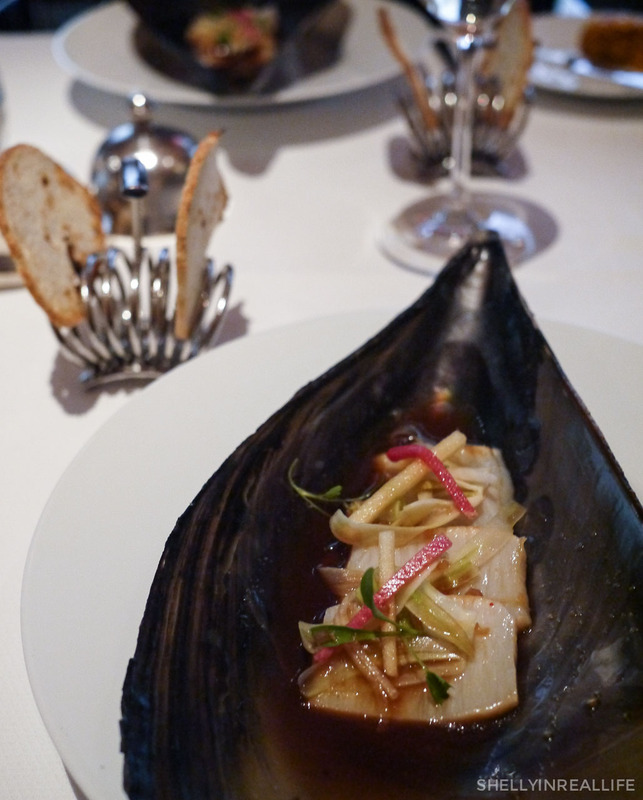 My meal at Le Bernardin was a bit on the traditional side but I really loved the seafood-centric perspective of the menu. While the service wasn't perfection, we were all very comfortable during the meal and my points earlier is just me being a little bit picky. Also, getting a reservation at Le Bernardin won't cause you any anxiety, I was easily able to book mine just on OpenTable just two weeks prior. 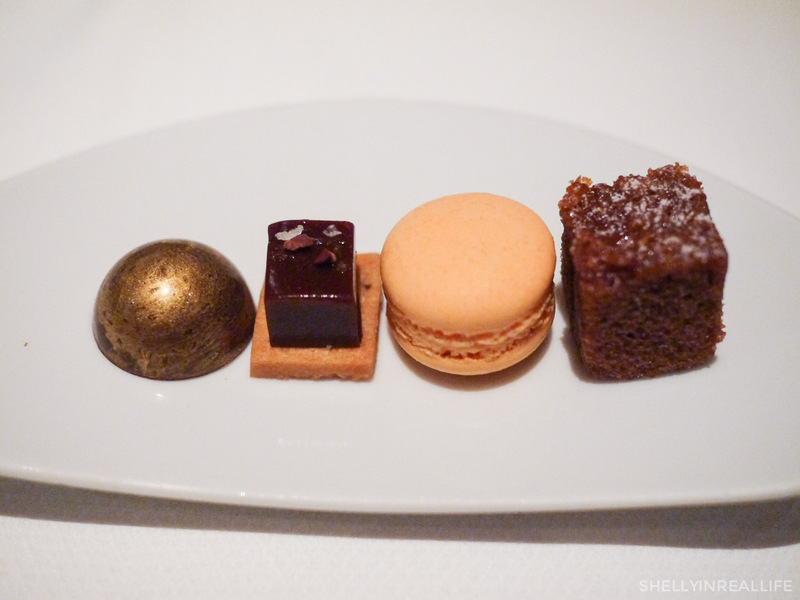 Out of all the 3-Michelins in NYC, I wouldn't recommend it as the first one to try since my favorite of the bunch will always probably be Eleven Madison Park.